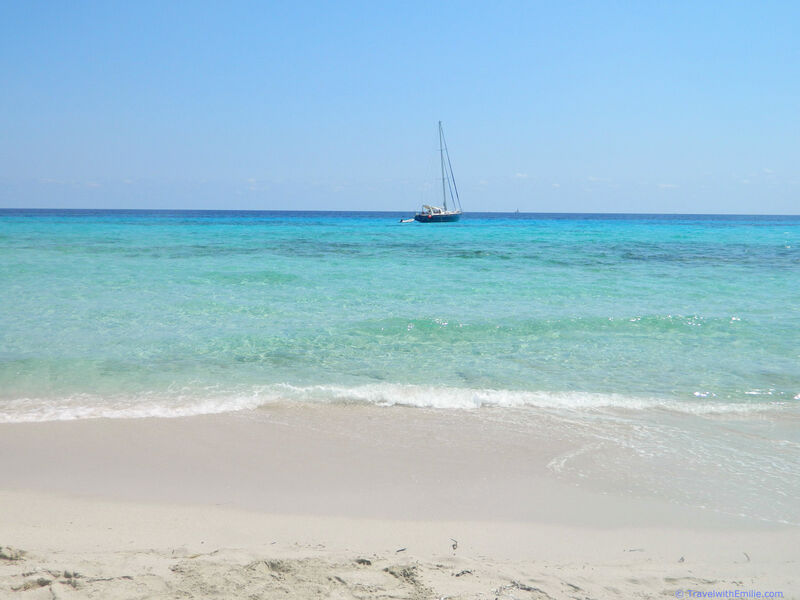 Turquoise sea, long sandy beaches, Formentera is the ideal destination for a day trip when spending your holiday in Ibiza. Be careful: the first ferries are often full very early and you risk having to wait for an hour in the sun! Rent a scooter in Formentera! Beautiful route between the salt lakes! Small entrance fee to access the beaches: Playa Illetes on your left is very busy whereas Playa Levante is empty! So empty that we did not mind leaving our bags, money and keys on the beach to go for a swim in this lovely transparent water. Just so you’re not surprised nudism is tolerated on all the beaches of the island! 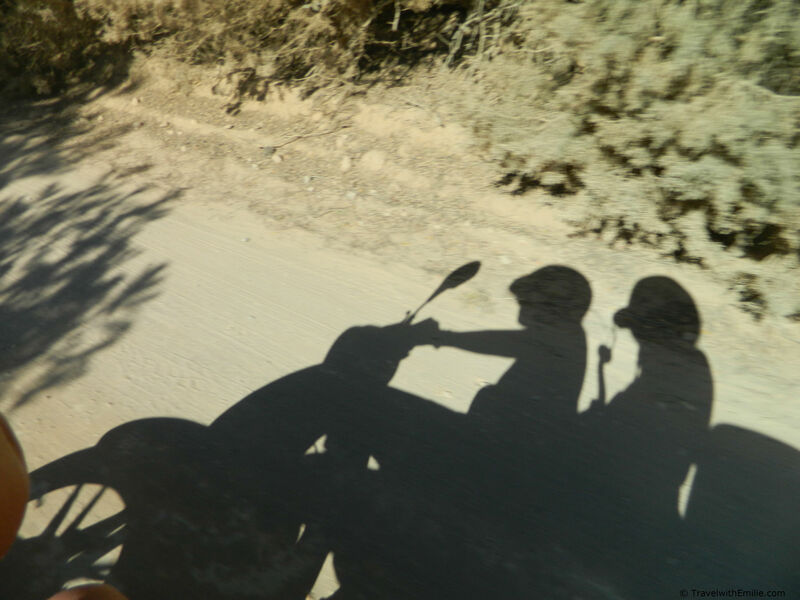 After a couple of hours enjoying this paradise (and hesitating whether to ever go back to our boring day-to-day life), we decide to ride down the main road (PM- 820), turn right at km 8 and here we are going down a bumpy and sandy track to the Blue Bar recommended by our guide. Very welcoming waiter that gave us a table although we hadn’t booked (and it was around the 10th of August). Delicious and affordable meals. And a free present: the Formentera report, 200 pages promoting the poshest holiday houses and the prettiest beaches in Formentera. The beach in front of the Blue bar is empty again! It probably takes too long for bikers to go here. The entrance in the sea is a bit rocky but you quckly forget it once you swim alone in this perfectly blue sea. It’s already time to go back not to miss the ferry back to the partying island. 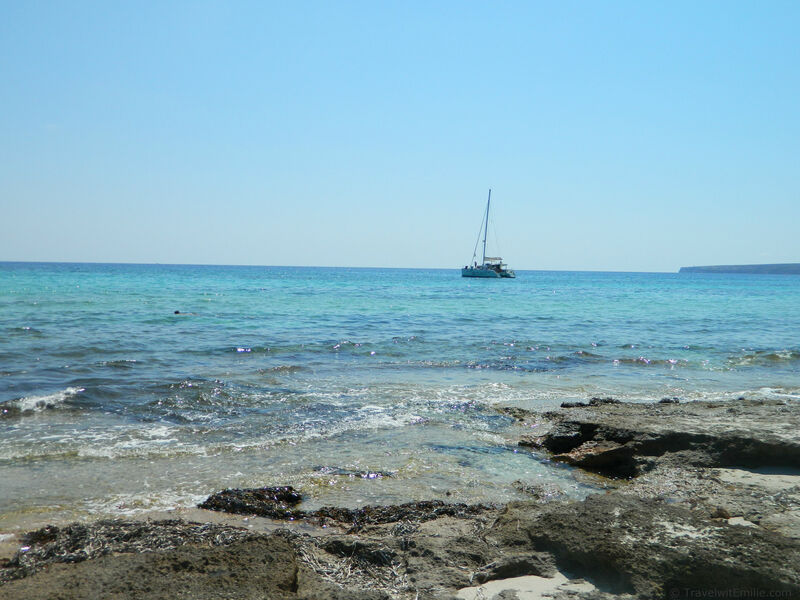 Definitely a day in Formentera is too short to explore this beautiful island, we’ll be back! Previous Previous post: No idea where to go?